With profound sadness, we announce the passing of Jane Laughridge Hamrick , our loving and devoted mother, wife, and friend to all whose lives she touched. On January 10, 2019 – surrounded by her family – she left us peacefully at the Clear Lake Regional Hospital in Webster, Texas, and went home to live with the Lord. She was 79 years old and precedes her husband, William Clark Hamrick. They had 57 wonderful years of marriage together. Born in Henrietta, North Carolina, on December 13, 1939, to Otis and Ina Hicks, she witnessed incredible changes to her world when joining the medical field. 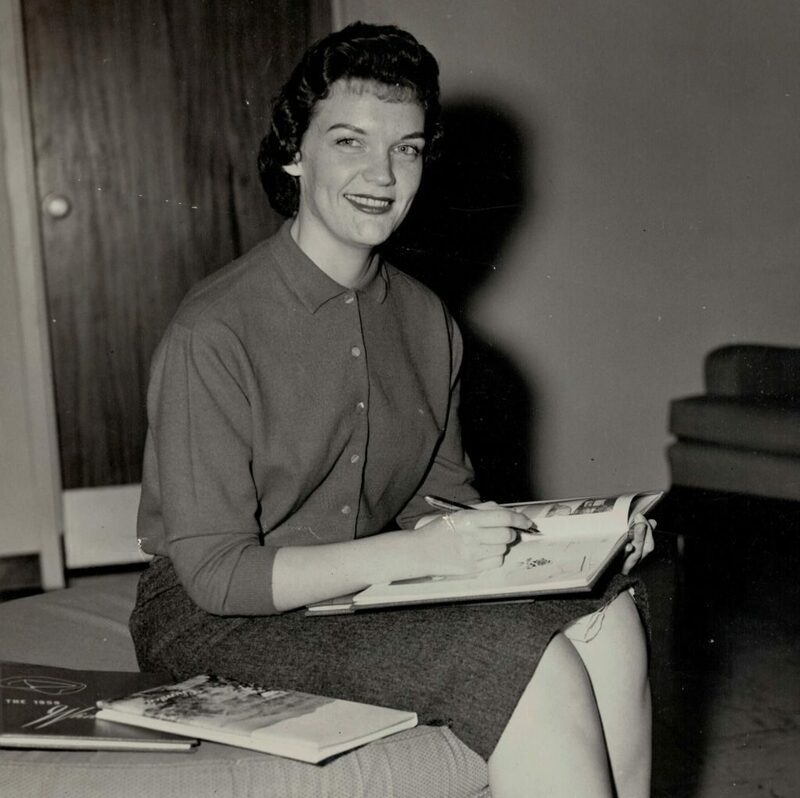 She graduated from the Rutherford Hospital School of Nursing in 1961, and then became a nurse at that hospital where she attended school in Rutherfordton, North Carolina. That is where she met William – who was a patient at the hospital, and she was his nurse (it was meant to be). She was the beloved mother of Scott Clark, Shelly Jane, Shara Lynn (and Greg Moffitt) and Susan Amanda (whom preceded her in death). Susan left us at the young age of 18. Jane was the proud grandmother of Joshua (and Ashley), Dolce (and Mark), Emily, Dalton, and Ethan; and great grandmother of Riley and Harley, and Lily and Gavin through marriage. She was predeceased by her brothers and sisters Eugene, Max, Charles, Auri, and JoAnn. Still living is her sister Reba. Jane lived a full life as a wonderful mother, homemaker, and working as a nurse in occupation. She would always take care of those in need with a kind and open heart. She loved to cook, decorate her home beautifully (including trimming it for Christmas), read good mystery novels, watch old television mystery shows, eat at good restaurants, and travel across the US with William – and in her younger years she enjoyed sewing, weekly outings going to the beach, and other fun excursions with family, including visiting family in North Carolina. She also had a passion for exotic plants, loved growing flowers and gardening. Most of all, she loved her family and instilled in her children at an early age the importance of church, following Jesus, and the Golden Rule. She will be dearly missed and forever in our hearts. A celebration of Jane’s life will be held at Crowder Funeral Home on Saturday, January 19, 2019 beginning at 1:00 p.m. Friends and social visitation begins at 12:00 p.m. The address is 1645 East Main Street, League City, Texas 77573. Directly after her Memorial Service, she will be laid to rest at the Forest Park East Cemetery (Dignity Memorial) at 21620 Gulf Freeway, Webster, Texas 77598. Flowers/Plants delivered to Crowder Funeral Home – or donations to Calvary Houston, 3700 FM 528 Road, Friendswood, Texas 77546 – are welcome. Shara, Greg and family, our heartfelt sympathies are with you. You all are in our thoughts and prayers.